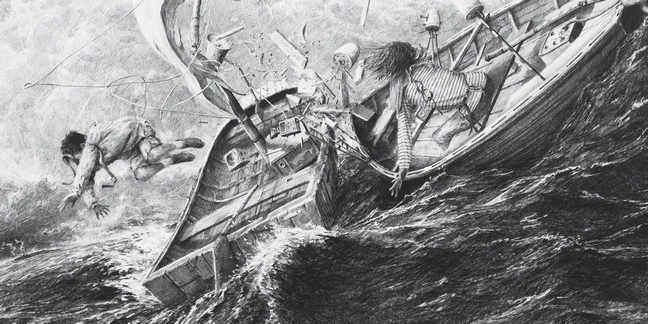 The Whale is the debut picture book from Ethan Murrow and Vita Murrow, published by Big Picture Books, an imprint of two of my favorite picture book publishers, Templar Company Limited and Candlewick Press. 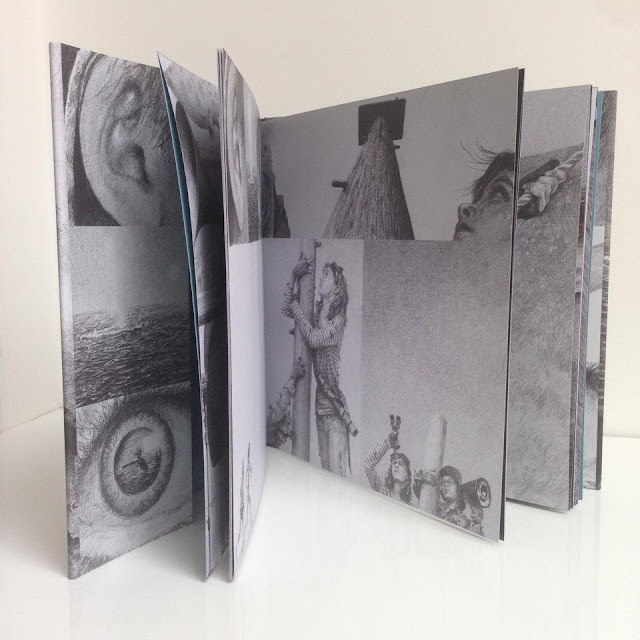 As the name suggests, Big Picture Press is dedicated to publishing highly illustrated books with the belief that, "books should be visually intelligent, surprising and accessible to readers of all age, abilities and nationalities." I think they are doing a stellar job carrying out this mission, but you can judge for yourself by clicking here. The first thing you notice about The Whale, besides the generous trim size and thick, luxurious pages, are the illustrations. They are immediately engrossing and completely compelling. The opening pages show two industrious kids, separately preparing to prove that the giant whale, spotted by two children fifty years ago, is not a hoax. A two page illustration of town's newspaper, the Cape Chronicle, tells some of the story. Back on their boats, we see the boy and girl preparing their equipment and their boats to document the existence of the whale. There is almost a steampunk feel to these pages, with gadgets and gears everywhere. The two head out and, absorbed in their mission, crash into each other. Angry at first, they quickly team up to complete their mission when they spot the mysterious whale on the horizon. 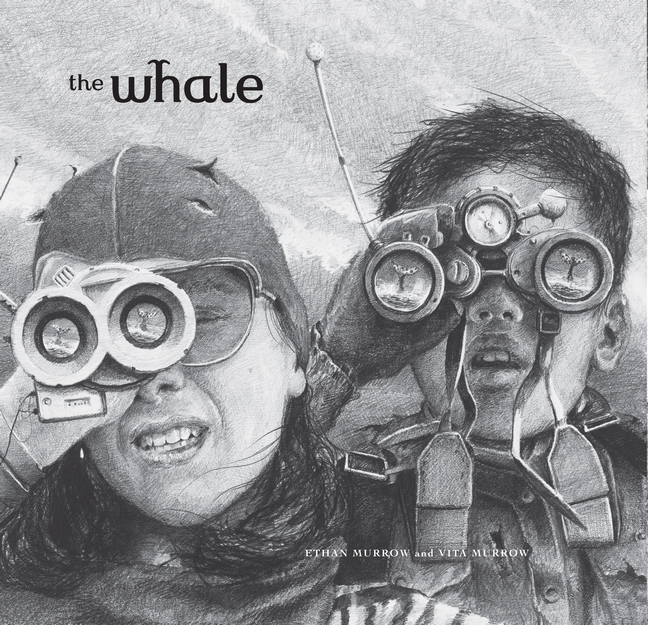 The final pages of The Whale are the Cape Chronicle again, telling the story of the two adventurers and revealing a surprising secret as well! The Whale is amazing, an immersive experience that must be experienced. This is horrible reviewing, but you really have to see this book for yourself to appreciate just how magical and meaningful it is! 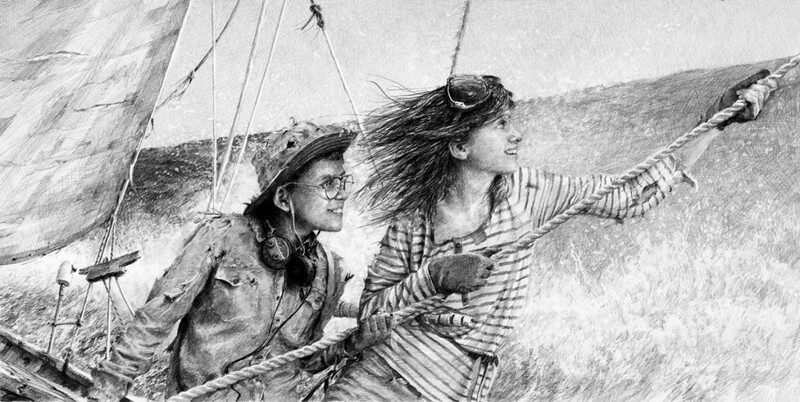 I can't wait to see what Vita and Ethan Murrow do next, together or on their own!